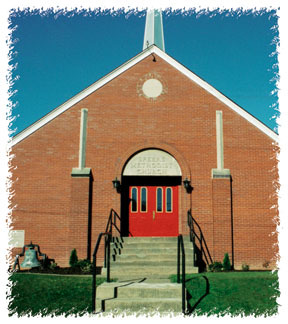 We are glad you have come to visit our church home page. We hope you will choose to visit and fellowship with us. We are a friendly, welcoming church and we are eager to have you as a part of our family. Our ministry is Christ-centered as we lift up the name of Jesus Christ, with emphasis on biblical preaching and teaching. We look forward to meeting you and being able to share with you the ministry opportunities that we have available. We also look forward to learning of the gifts and talents that you have and would like to share. Whether it is being involved with community service work, spending time with a Bible Study, or being involved with Sunday School, Kids Break Fest or choir, we have space available for your participation. Once again we welcome you to come and join us. We look forward to meeting you! Click here to Click here to visit Western Pennsylvania Conference.